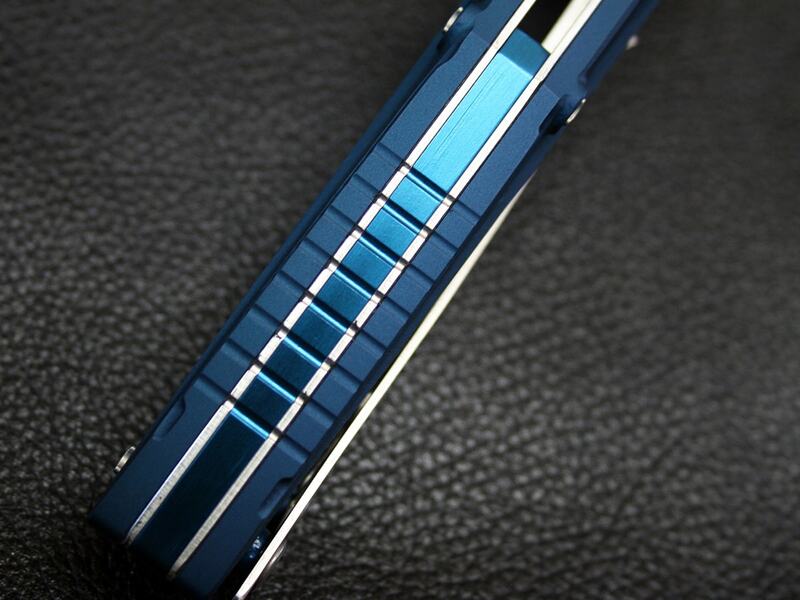 Out of Stock*For out of stock, we accept your order. 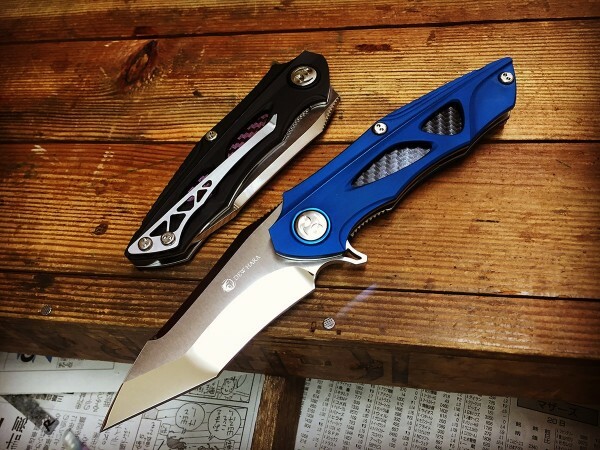 It will take 1-3 months to production. 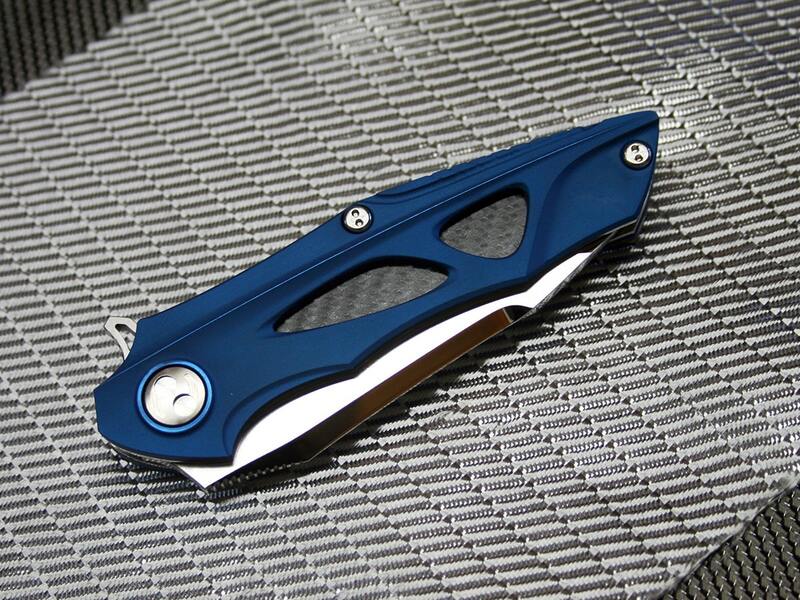 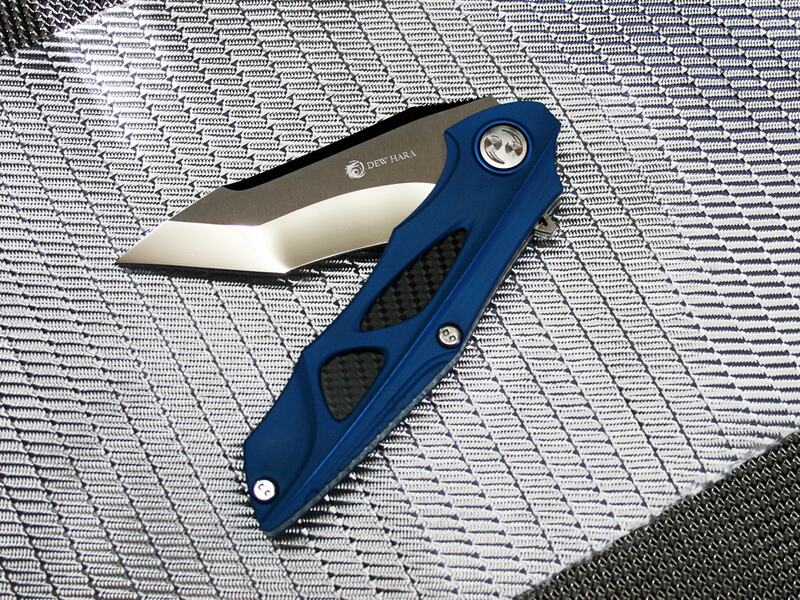 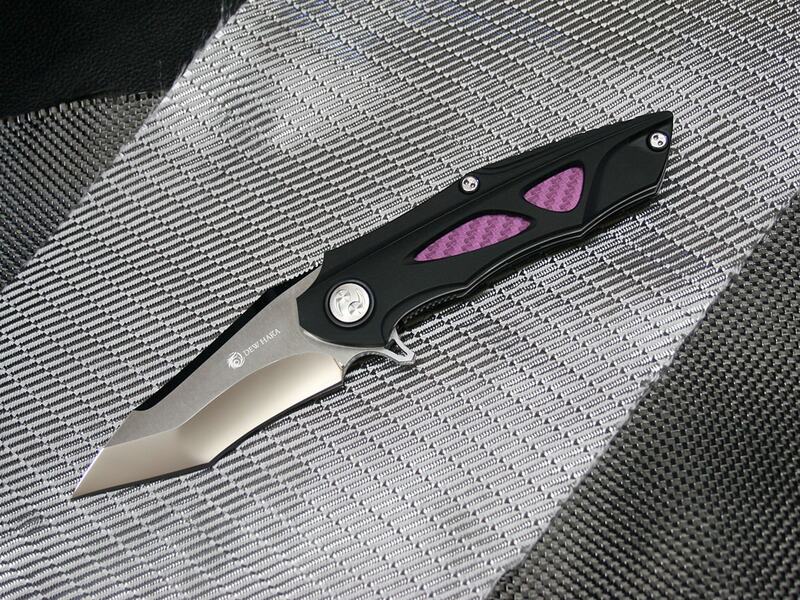 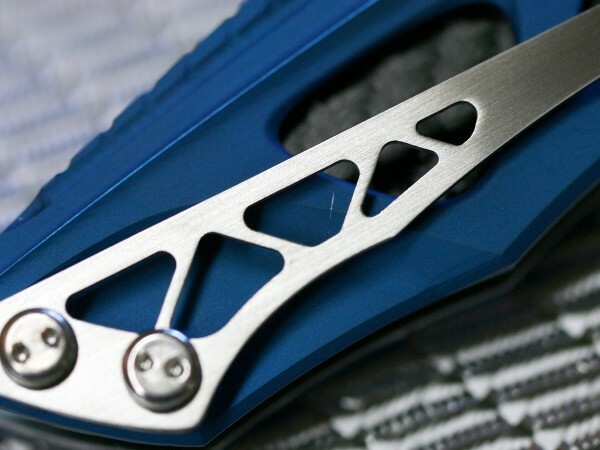 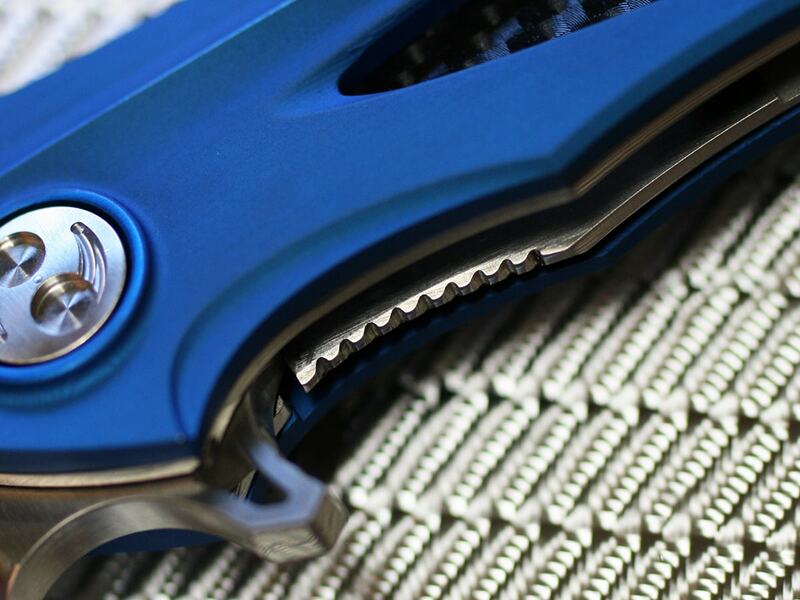 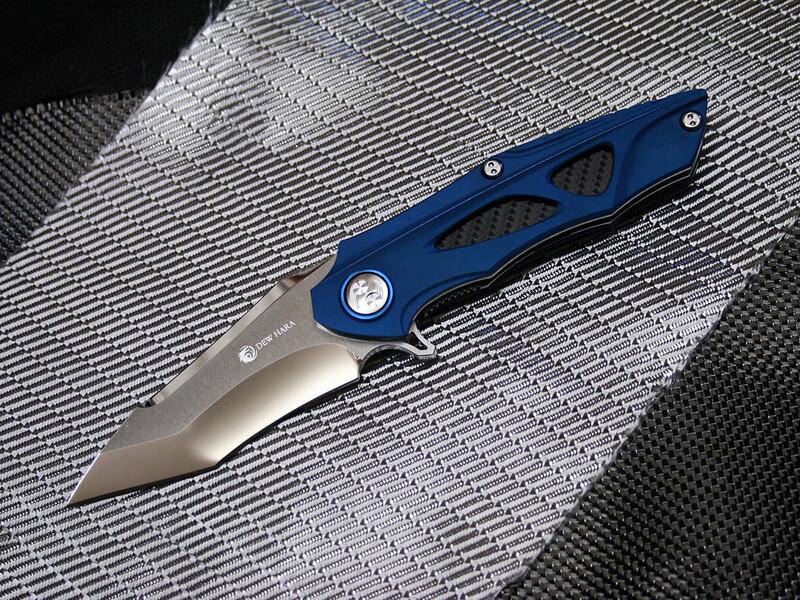 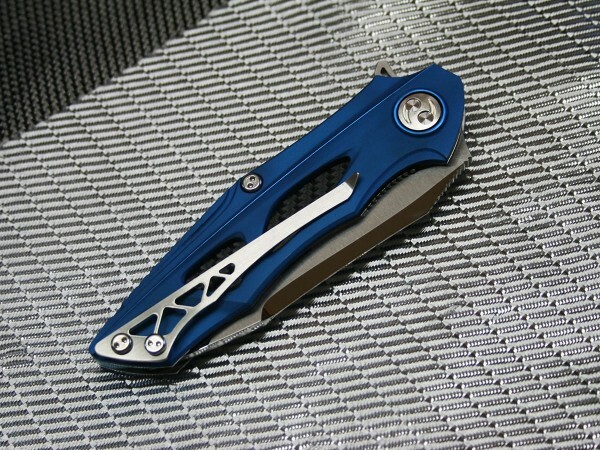 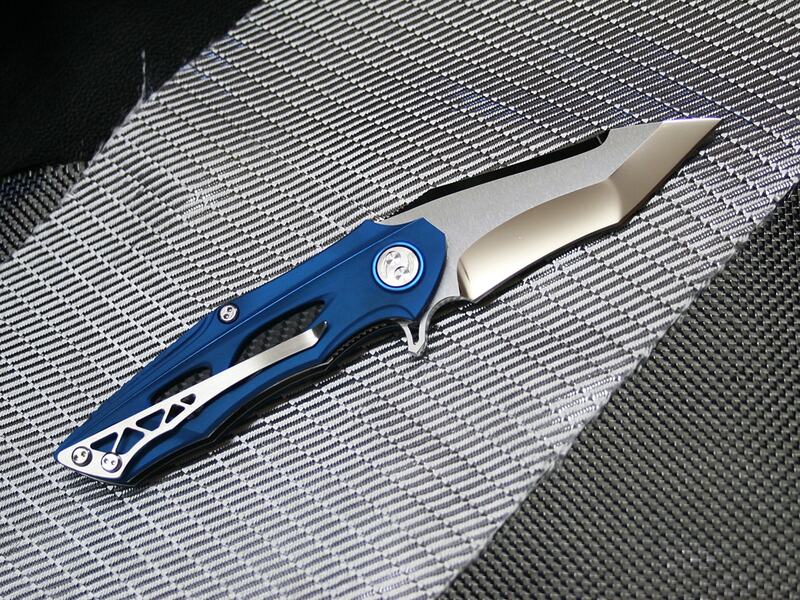 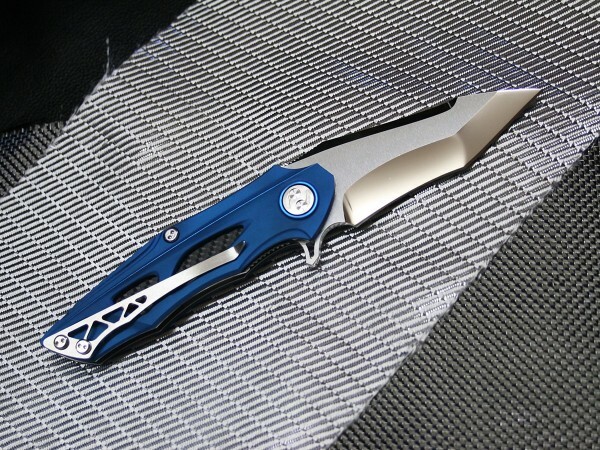 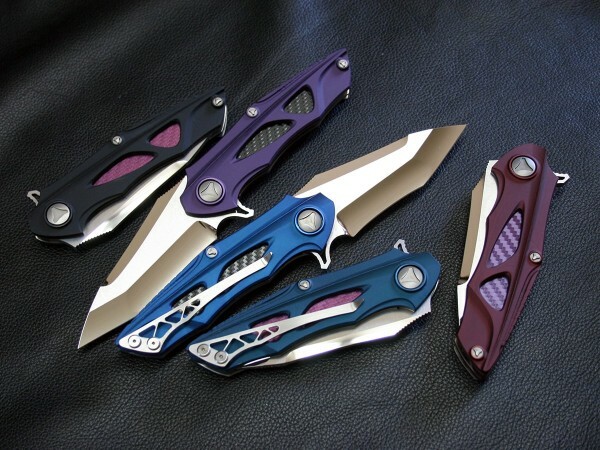 The tactical flipper floder "NOAH" features Tanto style Elmax stainless steel blade. This Noas is the image of Noah's Ark, and it was made tremendous influenced by my master and family Tony Marfione. 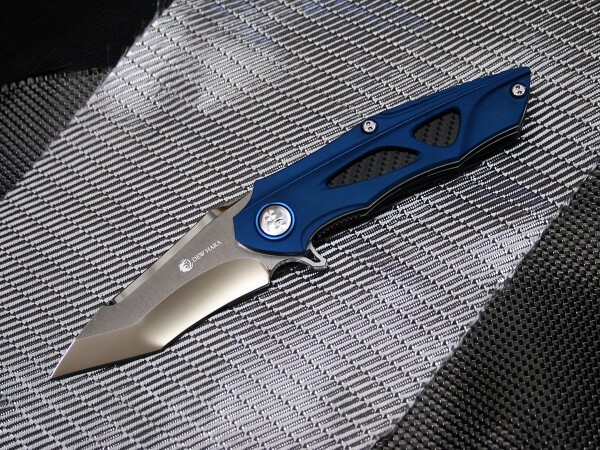 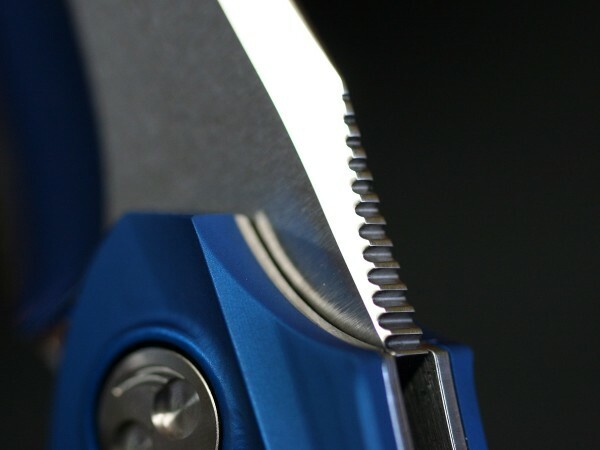 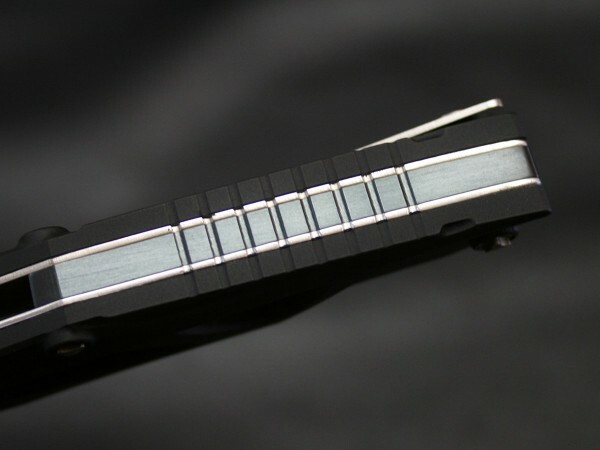 The 3.93" tanto style blade is made from Elmax stainless steel with mirror polished grinds and brushed satin flats, and it can be easily and instantly used via the jimped flipper tab. 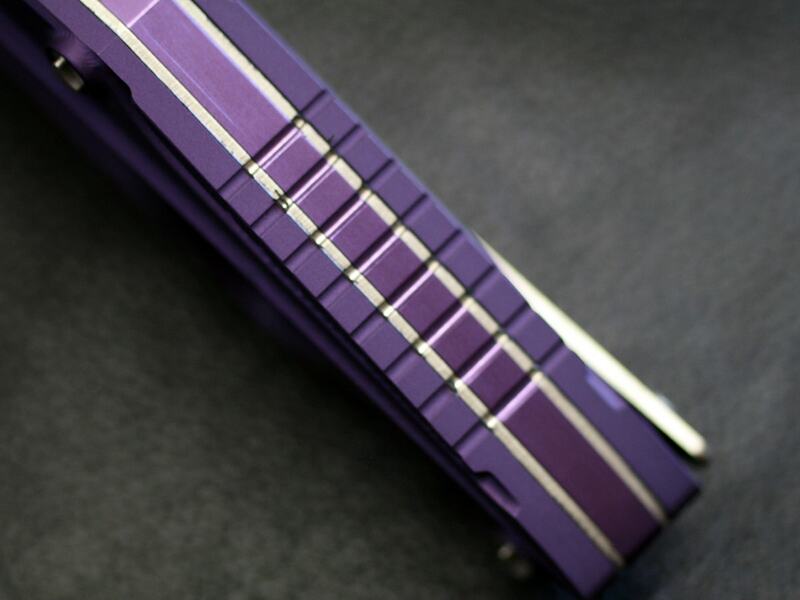 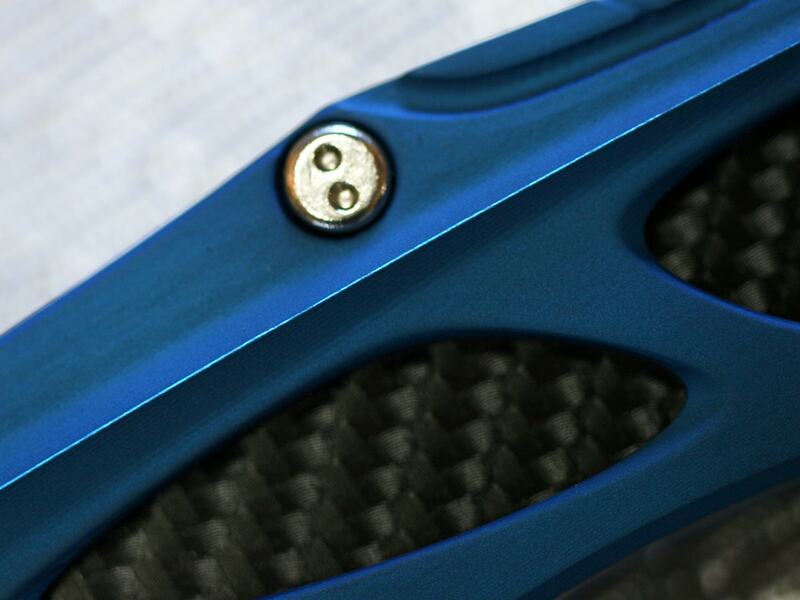 Machined and Anodized Duralumin handle is constructed from different kinds of color over stainless steel liners with a carbon fiber film on each side for added aesthetics. 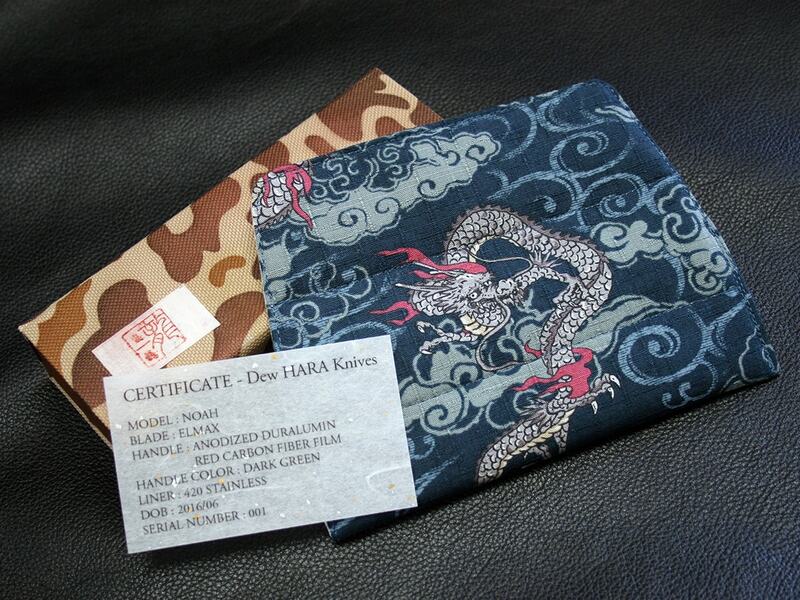 Comes with a Japanese Kimono cloth pouch, custom box, and certificate of authenticity, and each has a serial number on insode of back spine. 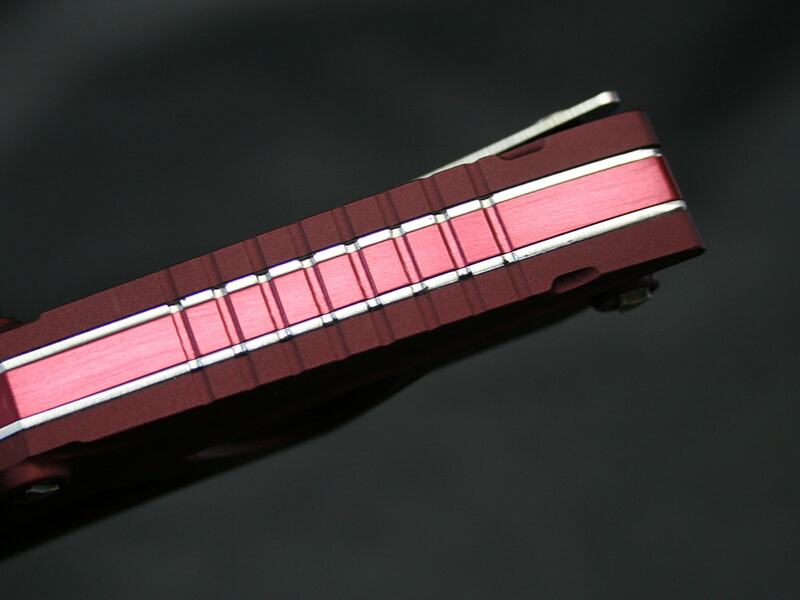 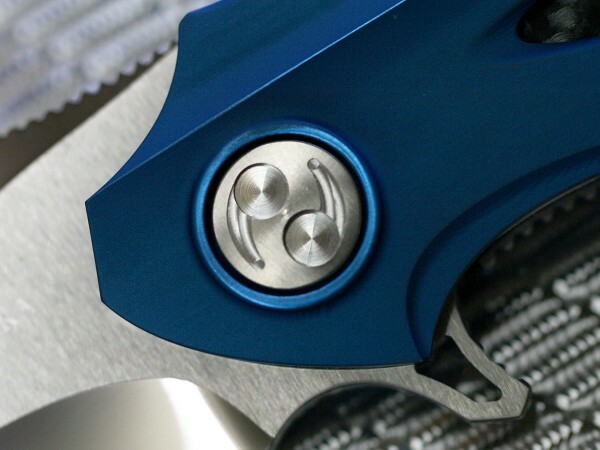 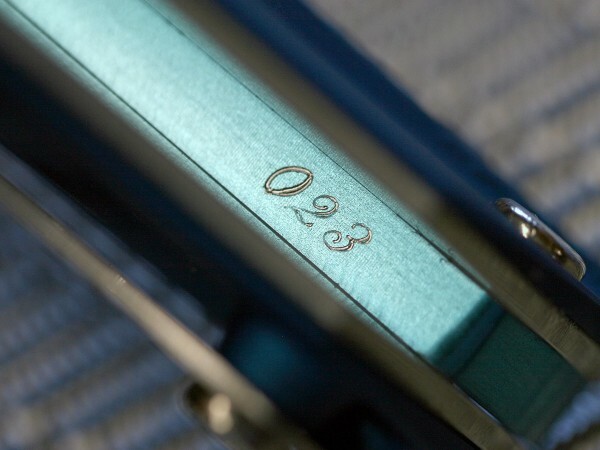 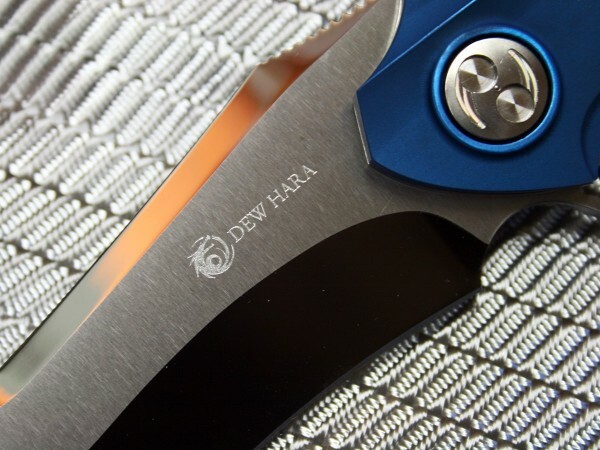 *The Microtech pivot and screws are changed to Dew's original design.